Downpours from 7am to 9am on July 13 prompted flooding in Hanoi and brought traffic in the capital to a standstill for several hours. 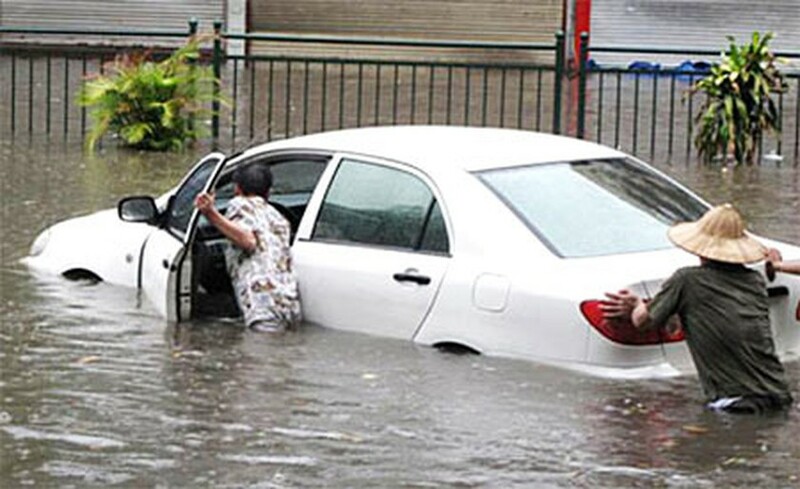 Thousands of Hanoi residents couldn’t leave for work due to high floods on several main roads. 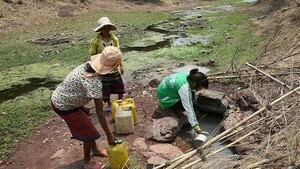 The Thai Ha, Nguyen Khuyen and Binh Trieu five-way crossroads were submerged under about 0.5 meter of rainwater. Vehicles could barely move in the floods, and many cars and motorbikes broke down. The heaviest floods were seen on Thai Thinh street, where rain water levels even submerged motorbikes’ engines. Motorcyclists had to push their motorbikes across the street, and many tripped over potholes hidden by the water. 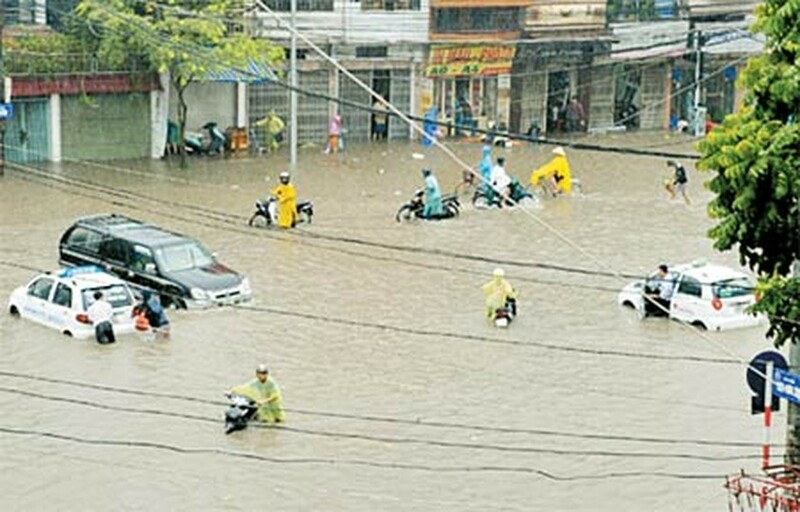 According to the Hanoi Drainage Company, the downpours drenched the capital in over 130 mm of water, the biggest downpour of the year so far. 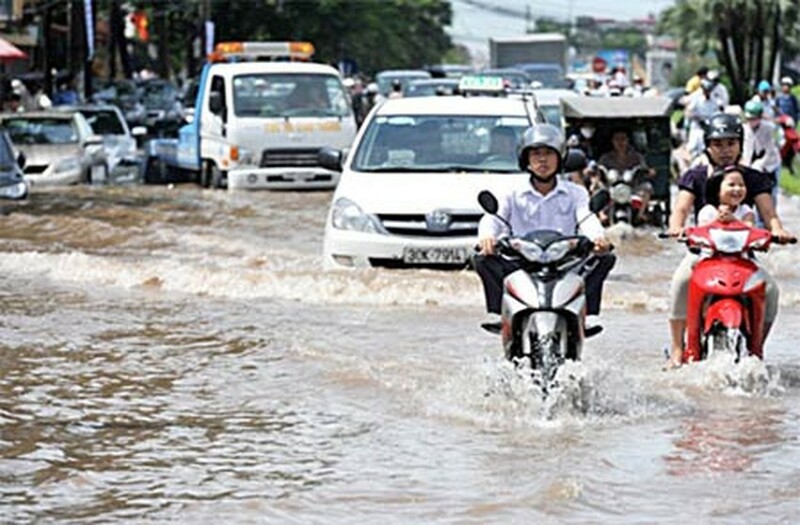 The company said Hanoi’s inner-city drainage systems were overwhelmed by the downpours. The company said all of four of its pumping stations were running at their full capacity during the floods. After the rains, three people were found dead after being electrocuted. The Lieu Giai Street remained flooded for several hours after the heavy rains in Hanoi July 13.